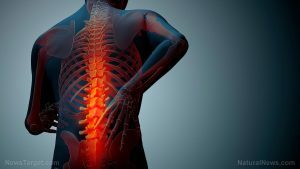 Ankylosing spondylitis is a form of arthritis of the spine that causes inflammation between the spinal cord and the joints between the spine and pelvis. In some cases, it can also affect other joints. This condition is more common and more severe among men, and it often runs in families. Its cause is unknown, yet genetics and environmental factors may play a role. This condition can affect anyone of any age, but it is most common among men who are in their teens and 20s. There are several known side effects of ankylosing spondylitis. A person with ankylosing spondylitis may suffer from pain, stiffness, and loss of mobility. Pain can arise in different parts of the body, such as other joints, in the neck, at the top of the shin bone in the lower leg, behind the heel of the foot, and under the heel of the foot, but it is mainly present in the lower back and buttock areas. It can also cause the so-called bony fusion, which is an overgrowth of the bones at the joints. This can make it hard for the person to accomplish everyday tasks. In some situations, it can restrict movement of the chest and make it difficult to breathe. People with ankylosing spondylitis may also experience fatigue, which makes them feel tired and have low energy most of the time. Furthermore, in around a quarter of ankylosing spondylitis cases, it affects the eyes, which can cause redness and pain, and can impair vision if not treated. The body systems harmed by ankylosing spondylitis include the muscular, skeletal, immune, and ocular systems. There is no dietary cure-all for ankylosing spondylitis, but a diet high in vitamins and nutrients can enhance general health. The foods that are most beneficial for people with ankylosing spondylitis include flax seeds, walnuts, oils like soybean, canola, and flax seed, cold-water fish like salmon and tuna, fruits and vegetables, and whole foods and grains. There is no cure for ankylosing spondylitis, but there are treatments to manage the pain, lower the risk of complications, and improve the quality of life. This condition can be managed through physical activity. It can be used to ease pain as well as maintain mobility in the spine. There are also specific strengthening exercises that can help maintain strength through the spine. Taking a hot shower may also help relieve pain, as well as massages. In rare cases, surgery is required to correct a severe spinal deformity. Furthermore, self-management plans for the condition include learning more about the condition, managing stress, maintaining social connections, eating a healthy balanced diet, and being aware of posture. Ankylosing spondylitis is a form of arthritis of the spine that causes inflammation between the spinal cord and the joints between the spine and pelvis. Foods that are beneficial for people with ankylosing spondylitis include omega-3s, fruits and vegetables, and whole foods and grains. Ankylosing spondylitis cannot be cured, but can be managed through staying active, eating a healthy diet, and socializing with others.